Indoor Den Making - don't worry about the mess! This is a good activity for a rainy day. 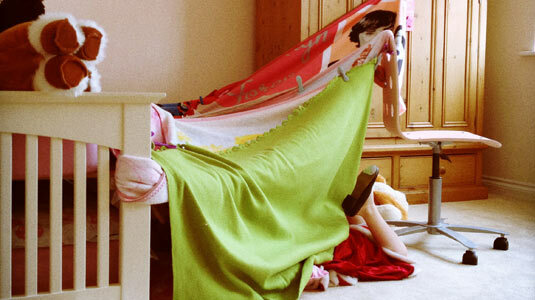 The secret to good indoor den making is not worrying about the mess. Make it into a camp and spend the night in it too! Household objects – chairs, beds, wardrobes, anything! To give your den some structure you can tape the garden canes into triangles. To make the frame, tape the triangles together. 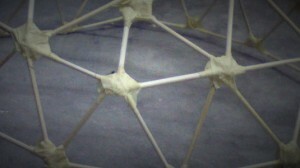 You can make the structure as elaborate as you want. 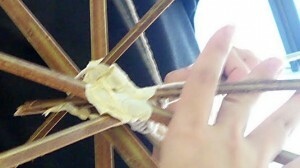 Drape the blankets over the structure and use the pegs to keep them in place. Fill it with cushions, soft toys, a picnic lunch and even sleeping bags.